Until recently, most Cambodia observers would have tentatively applied the term “democracy” to the country’s political system. While general elections are held every five years, the ruling party always wins. Effectively, the country has been a one-party system since 1979, and Prime Minister Hun Sen’s ruling Cambodian People’s Party (CPP) has been documented as using manipulation and bully tactics (including murder), to maintain its firm grip on power. In 2012, Human Rights Watch released a 68-page report entitled, “‘Tell Them That I Want to Kill Them’: Two Decades of Impunity in Hun Sen’s Cambodia,” which documents “the unsolved killings of political activists, journalists, opposition politicians, and others by Cambodian security forces since the 1991 Paris Agreements.” The report alleges that rather than punishing senior officials involved in the killings, Hun Sen in fact rewarded them with promotions. The title for the report was a quote from Hing Bun Heang (a member of Hun Sen’s bodyguard unit), who was being investigated for his participation in a grenade attack which killed 16 in 1997. Following this attack, Hing Bun Heang was promoted to lieutenant general. The 2013 general elections brought about some limited change, with Cambodians refusing to be intimidated and voting with their conscience. Foreign media and foreign and local election observers, risked their lives to ensure that the elections went off as fairly as possible. In the end, the CPP experienced their largest loss of seats in history, winning only 68, while the opposition Cambodia National Rescue Party (CNRP) won the remaining 55 seats. As much as these results represented a tremendous gain by the opposition, the CNRP rejected the results citing allegations of election tampering. As a result, thousands took to the streets in support of the CNRP, calling for international intervention. The gains made by the opposition in the 2013 general elections were further compounded in the 2017 local elections. Election agents showed that the CNRP had won about 46% of all communes, which was in sharp contrast to the 97% victory of the CCP in previous years. 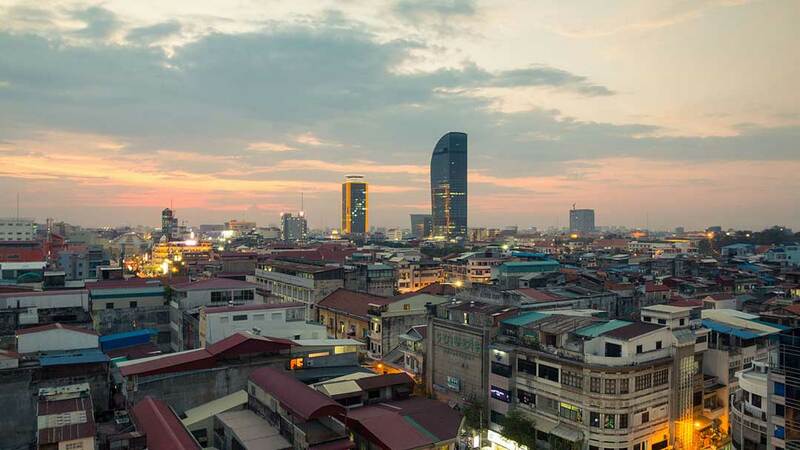 The success of the CNRP in 2013 and 2017 indicated that Cambodian politics may have reached a turning point, with true multi-party democracy on the horizon. However, unwilling to relinquish the CPP’s grip on power, Hun Sen in late August 2017 began an intense campaign of clamping down on Cambodia’s nominal democracy. To this end, Prime Minister Hun Sen has begun restricting freedom of speech and quelling potential voices of opposition. The opposition leader, Kem Sokha was arrested for treason in late August, with the CPP accusing him of participating in a US backed plot to overthrow the government. Fellow CNRP member, long-term opposition leader, Sam Rainsy, has been living in exile since 2015 in an attempt to avoid a jail sentence for defamation. Earlier this year, he announced his resignation from the CNRP “for the good of the party”. The Cambodian Daily, one of two major English language newspapers, that was renowned for its excellent coverage of the country’s political situation, has been shut down under accusations of tax evasion. Additionally, the Information Ministry has closed down 19 radio stations, including Voice of Democracy (VOD), Voice of America (VOA), and Radio Free Asia (RFA). The Council of Ministers spokesman Phay Siphan has accused VOD director Pa Nguon Teang of being a foreign agent. Additionally, The Ministry of Foreign Affairs and International Cooperation ordered the closure of the US backed National Democratic Institute (NDI) and the expulsion of its staff. The arrest of Kim Sokha, and the closures of the radio stations and the Cambodia Daily, occurred over a period of little more than a week. In that brief flurry of action, Hun Sen’s government has set Cambodian democracy back decades and cemented the CPP as the dominant force of Cambodian politics. In the absence of any dramatic shift in the political landscape, the CPP will most-likely win the 2018 elections and Hun Sen will remain in power for another five-year term.